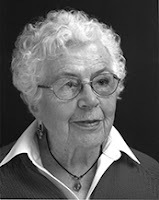 Madeline DeFrees (1919—2015) is the author of eight full-length poetry collections. In 1937 she entered the order of the Sisters of the Holy Names of Jesus and Mary, and took on the name of Sister Mary Gilbert. 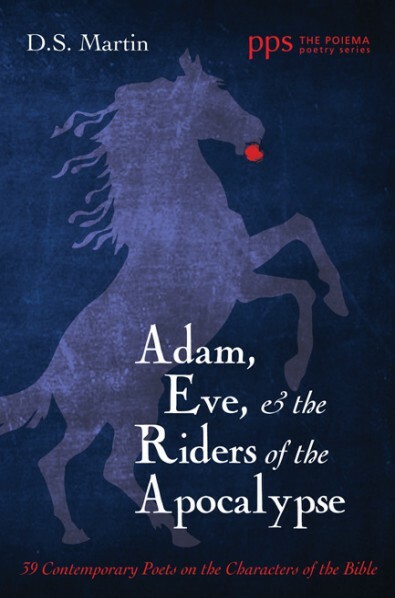 It was under this name that she published her early poetry, including her first collection, From the Darkroom (1964). Her greatest influences have perhaps been Hopkins, and Dickinson. 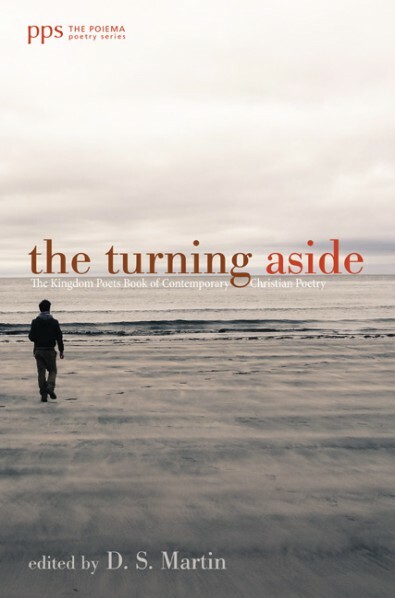 She is one of the poets featured in my anthology The Turning Aside: The Kingdom Poets Book of Contemporary Christian Poetry — (available here) and through Amazon. ----praying. But they really are very close." ----mark. The main shortcoming would be sentimentality." The following poem is from her collection Blue Dusk: New & Selected Poems (2001, Copper Canyon). At 47, Hope's driven to find her feet in construction. staple gun. Her right grips the insubstantial. cord at the inner ear, that delicate point of balance. between the smokestack and the evergreen. No matter how I strain, I cannot bring her back. the evidence of things unseen?